We all know how expensive dive gear can be, but with proper care and annual maintenance our dive gear will last and last. The simplest thing that we can do to extend our gears life is regular cleaning after use. It does not take a lot to clean your gear but a thorough cleaning will ensure your dive gear can prevent rust corrosion, and internal part deterioration so that your gear is ready for your next adventure. Here are some universal steps for cleaning your gear. Besides our wetsuits our BCD is probably the piece that gets the dirtiest during our day of diving. It is also a piece that often gets overlooked in cleaning. 1. Whenever you are not diving, be sure you keep all of your Velcro straps secured to each other. When Velcro is left open the teeth side seems to pick up every piece of dirt, grass and hair in a 10 foot area. By keeping it closed you can prevent some tedious tweezer work later. Keeping your buckles secured also will help prevent them from being broken. An accidental step or a misplaced tank can easily break a buckle and ruin a day of diving. 2. When cleaning your BCD be sure to thoroughly rinse the exterior and Velcro. 3. Add water to your BCD by orally inflating your BCD, hold your deflate button on the inflator mechanism open and let water pour into the mouthpiece. Once you have some water in there shake the water around to rinse all sides of the bladder. 4. Hang the BCD upside down and allow the water to drain to the bottom of the inflator hose. Hold down the deflate button to drain the water out of the inflator mechanism. Leave it hanging overnight to ensure all the water gets drains down and can be dumped in the morning. 5. If you choose to remove the inflator hose be sure you do not lose the rubber o-ring. Without this part the BCD will never be able to hold a seal. 6. When storing your BCD be sure to leave air in the bladder to prevent the walls of the bladder from sticking together. Always store your BCD in a cool dry place to prolong life. 7. 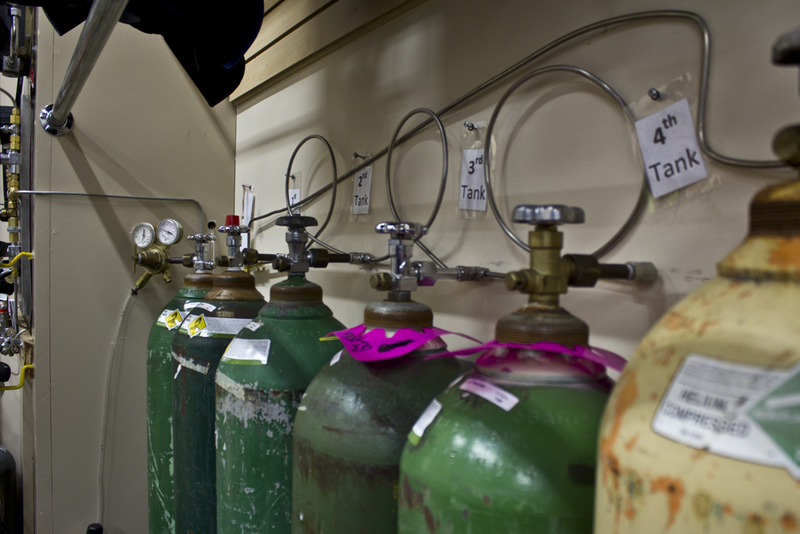 During your annual maintenance the over-pressurization valves are removed and ultra-sonically cleaned. The inflator mechanism is broken down and ultra-sonically cleaned as well. 8. Cleaning supplies for your BCD are available at your local dive shop and include Sink-the-Stink to remove unwanted odor from the exterior and bladder. There is also a salt emulsifier that will break down any salt crystals inside your BCD bladder that could otherwise scratch and damage the bladder. The following image is a device from XS Scuba that allows you to attach a garden hose to your BCD to make rinsing out the bladder easier. Our regulator is our gateway to this sport, as such it is the piece that needs the most care during cleaning. 1. At the end of your dive remember to purge either of the second stages to depressurize the rig before removing the first stage. 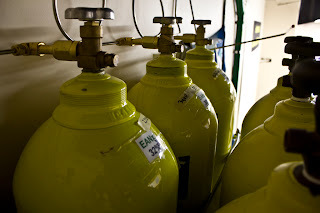 Failure to do so can result in damaging the equipment if the regulator is forced off. 2. The next step after removing the regulators off the tank is to replace the dust cap. 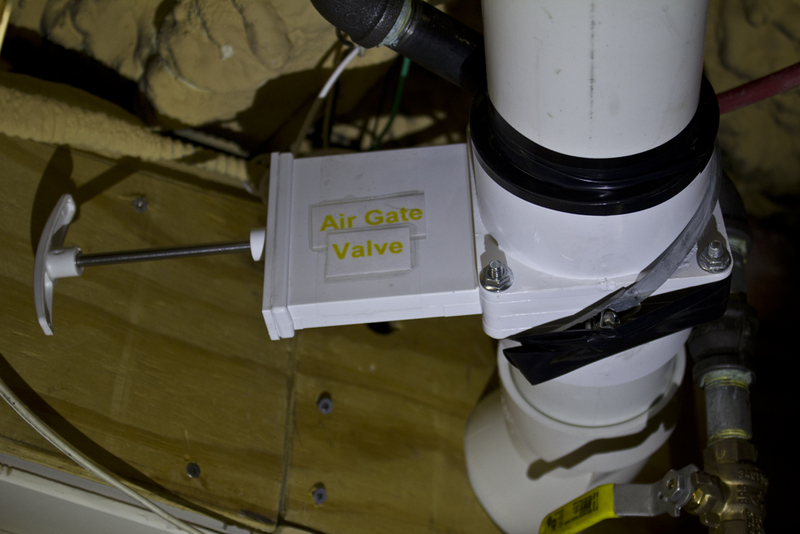 Blow any residual water of the dust cap and the 1st stage valve before replacing. ALWAYS remember to do this before rinsing your regulator. If water enters the 1st stage it can severely damage the equipment. 3. Finally if there is a dunk tank available of fresh water give the regulator a good rinse in it to remove any salt or impurities from your previous dive. If one is not available you can use a garden hose or soak it in a bathtub. 4. When storing your regulator remember to keep it in a safe place where it cannot be damaged. A regulator bag kept in a inside closet insures that it cannot be damaged and that heat will not cause your hoses to dry rot. Never hang your reg by a single hose as this can cause damage to the hose and the fitting. 4. Annual maintenance on your regulator is a 37 step process in which each stage is completely broken down. All parts are ultra-sonically cleaned and reassembled with parts kits by a certified technician. Wetsuits give us the ability to dive in water and weather which our bodies are not naturally capable of tolerating. 1. After your dive be sure to turn your wetsuit inside out and rinse thoroughly. Then turn your wetsuit right side out and rinse again. Make sure to scrub any mud or dirt you may have picked up completely off. 2. Hang your Wetsuit up over night to allow it to completely dry before storing. If a wetsuit is stored wet a rotten smell will develop. 3. Lastly store your wetsuit with the zipper fully closed. This will prevent individual links from breaking and having to replace the zipper. The use of a zipper cleaner will help prevent dirt and debris buildup, and most zipper cleaners double as a lubricant to ensure smooth movement. 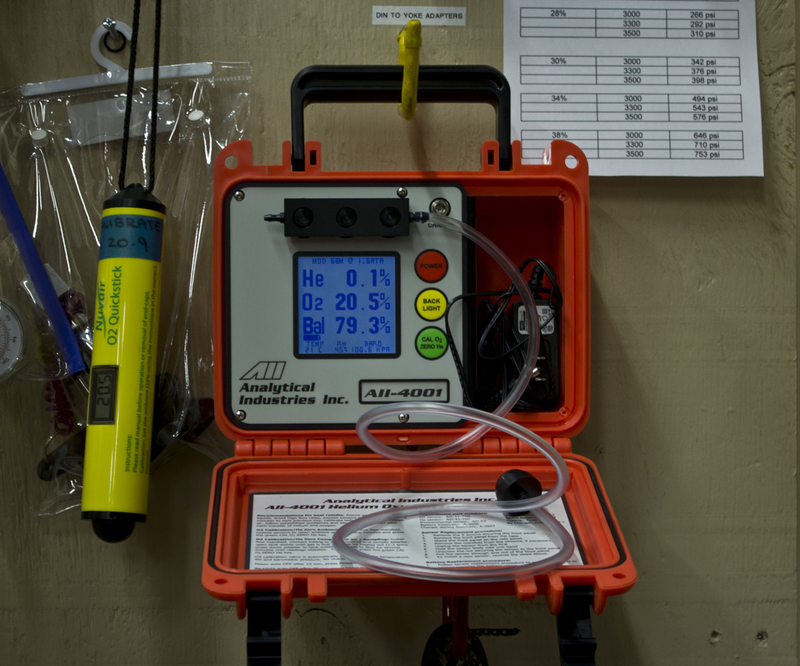 While each step here is important to prolonging the life of your SCUBA equipment, they in no way replace annual maintenance by a certified technician. 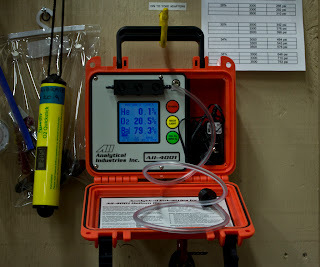 Be sure to ask your dive shop if their technician is certified to work on your specific equipment. 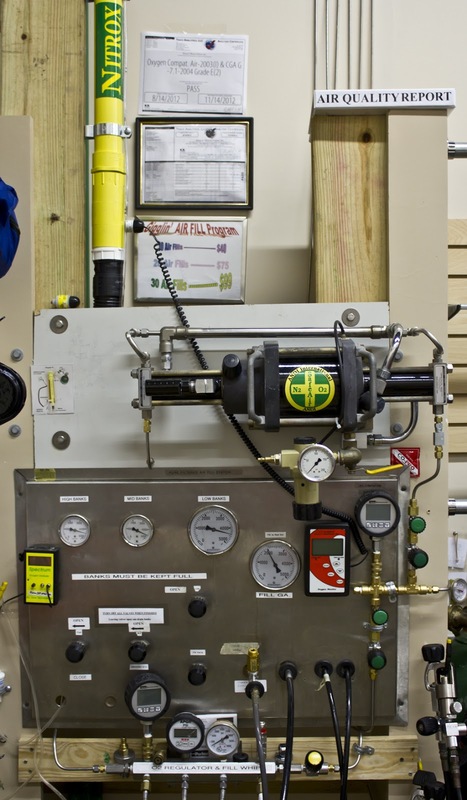 Each piece of equipment requires in depth knowledge of the units that can only be obtained through multiple training sessions with equipment manufacturers. There are an assortment of products available to assist you in cleaning all your gear. From Sink-the-Stink to a simple zipper cleaner we can help you find the appropriate cleaning tools for you. Remember, our dive gear is life support equipment and should be treated as such. Be safe and we look forward to seeing you in the water.